Hertford College, Oxford, has transformed its iconic dining hall to mark the 40th anniversary of full coeducation. For the next 12 months the hall’s longstanding portrait gallery of all-male luminaries (including William Tyndale and John Donne) will be replaced by a photographic collection of female fellows and alumni. The new portraits feature women from all professions and walks of life, ranging from the philosopher Baroness Warnock to world champion rower Stephanie Cullen, Professor of Anatomy Kay Davies DBE and curator Xanthe Brooke. 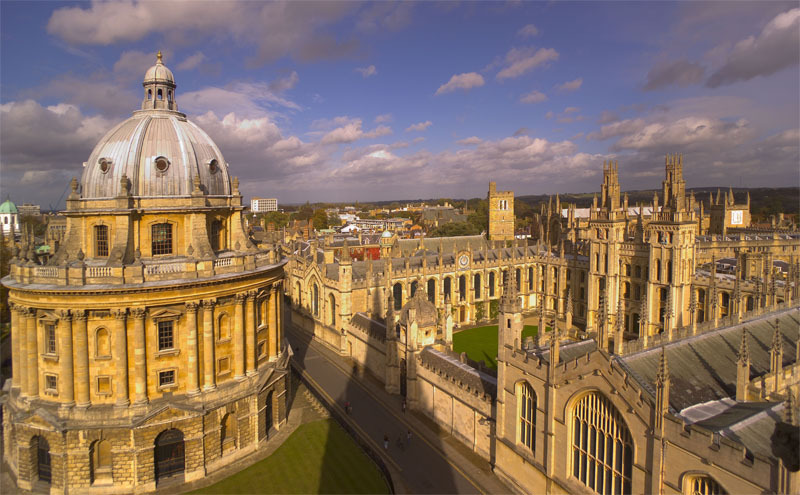 Hertford is one of five Oxford colleges that went fully coeducational (both teaching and housing female students in college) in 1974 – the first at the University to do so. Dr Emma Smith, Fellow and Lecturer in English, coordinated the year-long project. She says: “Marking the coeducation anniversary gave us the opportunity to make a big statement not only about the importance of women to Hertford’s successes since 1974, but about the range of careers and lives our students – both women and men – go into. The gallery unveiled on 20 September includes women from every decade of co-education. Some were nominated by colleagues or peers, others chosen because their personal stories drew on their experience of the college itself in different ways.